Recently, entertainer John Oliver discussed vaccines on his weekly HBO program Last Week with John Oliver. 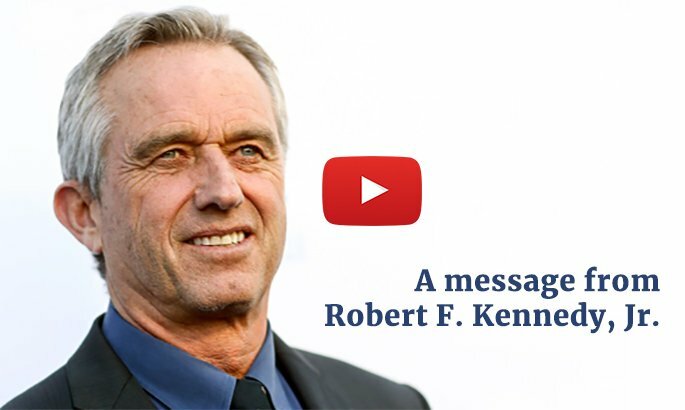 In doing so, he exposed viewers to several inaccuracies about vaccine safety, including those regarding the use and toxicity of the mercury-based preservative thimerosal. In developing his monologue, it appears that Mr. Oliver—like numerous news outlets who promote vaccines as universally safe and effective—relied solely on information from the Centers for Disease Control and Prevention (CDC) which continues efforts to persuade the American public that injecting mercury into pregnant women and children with thimerosal-containing flu vaccines is safe. The talking points reviewed below were derived from a recently published article by CNN titled Thimerosal: Everything You Need To Know About This Vaccine Preservative. These talking points are at best misleading, and at worse, patently false. The Children’s Health Defense has responded to each of the CNN/CDC talking points with factual information in our effort to educate consumers to avoid this completely unnecessary and dangerous neurotoxin. CHD Fact: Although thimerosal was slated for removal from childhood vaccines in 1999, the reformulation process took several years. Products containing thimerosal were not recalled and the manufacturers were allowed to continue to distribute thimerosal containing vaccines well into 2001 that had a two year expiration date. In 2003 when all the residual stock of thimerosal containing vaccines was almost distributed, the CDC Advisory Committee for Immunization Practices (ACIP) made the new recommendation that all pregnant women, infants starting at six months of age and children receive flu vaccines annually. This recommendation was contradictory to the fact that the prestigious Institute of Medicine made the recommendation in 2001 that pregnant women, infants and children NOT receive thimerosal preserved vaccines. At the time, the vast majority of flu vaccines contained thimerosal. The fetus is especially vulnerable to mercury exposure because it accumulates mercury at a higher rate than the mother. This flu season approximately 48 million doses of flu vaccine containing thimerosal were distributed, leaving pregnant women, infants and children in the U.S. at risk of mercury exposure. Here’s what you need to know about what it is (and what it isn’t). CNN Statement: Thimerosal is the most widely used preservative in vials of vaccines used multiple times, a mercury-based organic compound that can prevent bacteria and fungus from growing. CHD Fact: While it is true that thimerosal is a widely used preservative, it is not necessarily an effective preservative. In 1975 the FDA convened a panel of experts to review the use of thimerosal as a preservative. The agency issued a report of the panel’s findings in the Federal Register where they concluded that “some mercury-containing preparations are not effective and others are not safe and effective” for antimicrobial use. Most of the literature reviewed addressed mercury’s lack of antibacterial properties. One study published in 1970 titled, “Three thousand years of mercury. A plea for abandonment of a dangerous, unproven therapy,” addressed mercury’s lack of effectiveness regarding anti-fungal properties. Why do vaccines need preservatives? CNN Statement: Vaccine makers started using preservatives in the 1930s after they found that contamination could become a problem with multi-dose vaccines. Doctors learned that the hard way in 1928, when 12 children died after getting vaccinated for diphtheria. An investigation found that the multi-dose vaccine had been contaminated with living staphylococci. The children had been injected with the diphtheria vaccine and a staph infection. CHD Fact: While it is true that preservatives are used to prevent bacterial contamination in multi-dose vials of vaccines, there is ample evidence provided by federal agencies and independent scientists that spans the last 80 years which documents that thimerosal is not an effective or safe vaccine preservative. There are several recent reports of thimerosal’s failure as a preservative as well. Clusters of disease from Group A streptococcus infections were traced back to multi-dose vials of diphtheria toxoid, pertussis, and tetanus toxoid (DPT) vaccine which were contaminated after being opened. Additionally, in 2004, a Chiron plant that manufactured Fluvirin was forced to close because its vaccine was contaminated with Serratia marcescens. This vaccine used thimerosal as a preservative in its product. In this case and others, thimerosal failed to prevent bacterial growth which resulted in dangerous infections. What happens to the preservative in your body? CHD Fact: This statement is patently false. Thimerosal does leave the blood stream faster than methylmercury, but that is because it more quickly moves into the tissue and organs in the body than methylmercury. A 2005 study funded by the National Institutes of Health compared brain mercury levels in infant monkeys exposed to injected ethylmercury (thimerosal) and equal amounts of ingested methylmercury. In this study, ethylmercury exposure resulted in twice as much inorganic mercury in the brains of the infant monkeys compared to those exposed to methylmercury. Specifically, the relative concentrations in monkeys with detectable levels of inorganic mercury were 16 ng/g in thimerosal-treated monkeys and 7 ng/g in the methylmercury-treated monkeys in which inorganic mercury levels were detectable. Inorganic mercury was below detectable levels in 8 out of 17 of the methylmercury-treated monkeys. 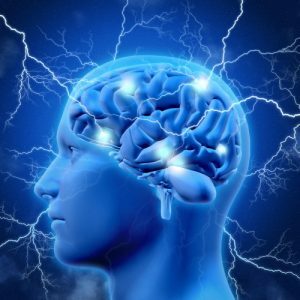 Inorganic mercury has an estimated half-life in the brain of 27 years. Exposures to mercury during these critical periods of development disrupt the growth and migration of neurons, with the potential to cause irreversible damage to the central nervous system. CNN Statement: Hundreds of studies have shown that it is extremely safe for humans. Several comprehensive reviews have shown there is no evidence of harm caused by low doses. (This links to the CDC website, but there is no data to support this claim on the site.) In animals, some studies have shown central nervous problems, coma and death, although the same has not been found in humans. CHD Fact: There are several reports of deaths in the medical literature from exposure to thimerosal. In April of 2001 thimerosal was nominated by the FDA to be reviewed by the National Toxicology Program (NTP) due to the lack of toxicity and safety data. In the nomination, several cases of acute mercury poisoning from thimerosal-containing products were documented. These reports included the exposure to thimerosal from immune globulin (Matheson 1980) hepatitis B immune globulin (Lowell 1996), thimerosal ear irrigations in a children with tympanostomy tubes (Royhans 1994), thimerosal treatment of omphaloceles in infants (Fagan 1977), and a suicide attempt with thimerosal (Pfab 1996). These studies reported local necrosis, acute hemolysis, disseminated intravascular coagulation, acute renal tubular necrosis, and central nervous system injury including obtundation, coma, and death resulting from the exposures. CNN Statement: The most common side effect is a mild rash or redness at the injection site. There may also be a little swelling. All of these symptoms disappear quickly. On rare occasions, some people have had allergic reactions to the preservative. CHD Fact: What CNN fails to acknowledge are the thousands of families who have reported developmental regression of their children after exposure to thimerosal containing vaccines. One such case was actually covered by CNN in 2007 when a child who received multiple thimerosal-containing vaccines regressed developmentally within 48 hours after receiving the vaccines and was later diagnosed with autism. Do children get vaccines with thimerosal? CNN Statement: All routinely recommended vaccines for children in the US are available in a thimerosal-free formulation or contain only a trace amount. CHD Fact: Flu vaccines are universally recommended for infants and children. Approximately 1/3 of all flu vaccines contain thimerosal. According to the CDC, 48 million doses of flu vaccine manufactured this year contained thimerosal. A trace amount is defined as being 1 microgram (mcg) or less. Flu vaccines contain 25 mcg of mercury. 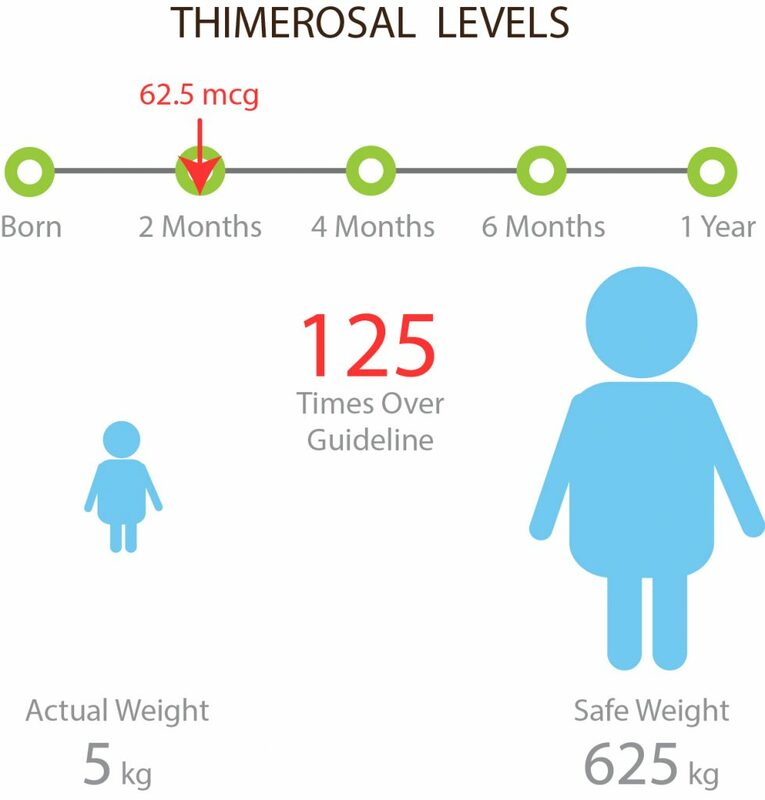 According to EPA mercury exposure guidelines of 0.1 mcg per kilogram of body weight, a baby would need to weigh 550 lbs to be able to safely process the amount of mercury in a thimerosal containing flu vaccine. State and Federal guidelines require that any product that contains more than 0.2 milligrams per liter (200 PPB) of mercury must be disposed of as a hazardous waste. All flu vaccines preserved with mercury that are not used must be disposed of as hazardous waste because they contain 50,000 PPB mercury. What makes it different from other mercury-based products? CNN Statement: Thimerosal is an ethylmercury; the mercury that can be found in fish is a methylmercury. Though they are only one letter apart, the substances are different. Mercury is an element found in the Earth’s crust. We are all exposed to mercury as we live on the surface of the planet. It’s in our water, in our soil and in the air. Methylmercury is created when mercury comes into contact with some bacteria. Doctors warn pregnant women to avoid some fish because it can be contaminated with this form. Unlike ethylmercury, which can pass through your body quickly, methylmercury can linger and accumulate. If enough accumulates, it can be toxic. In 1999, the National Vaccine Advisory Committee held a meeting to discuss the safety of thimerosal. Some who testified worried that babies were unable to eliminate the mercury from their systems. Follow-up studies of infants showed that they “excreted significant amounts of mercury in stool after thimerosal exposure,” meaning it was removed from the body quickly, compared with methylmercury. CHD Fact: Evidence that ethylmercury quickly passes through the body is not supported by scientific research which documents that ethylmercury accumulates in the kidneys and brain tissue. Although infants have been found to excrete some mercury in their stool after exposure to thimerosal containing vaccines, the amount excreted does not account for the amount injected. Michael Pichichero, a pediatrician, measured mercury concentrations in stool of 22 normal infants exposed to thimerosal in vaccines, ages two and six months, and found a range of 23-141 nanograms of mercury per gram of stool (dry weight). The authors interpreted these levels, mere parts per billion, as positive evidence of mercury elimination. But these mercury levels are extremely low and not nearly enough to allow for rapid excretion as the authors propose. If it is safe, why was it removed from kids’ shots? CNN Statement: Based on the recommended childhood vaccination schedule, there was concern that some babies could be exposed to a higher cumulative level of mercury in the first six months of life from these shots. At the time, babies got diphtheria-tetanus-acellular pertussis, Haemophilus influenza type b and hepatitis B shots. If an infant got all three, the accumulation went beyond the EPA guidelines for methylmercury. CHD Fact: This is actually a factual statement. CHD would like to add that the amount that infants received from thimerosal containing vaccines was far in excess of EPA guidelines. An average 5 KG infant at 2 months of age could receive 62.5 mcg of mercury from vaccines. According to EPA guidelines the allowable exposure levels would be .5 mcg. Infants were routinely exposure to 125 times EPA allowable guidelines based on weight. 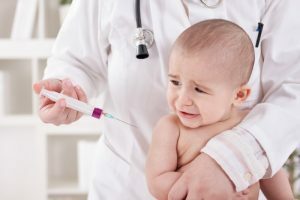 A study published in Pediatrics in 2000 measured blood mercury levels in newborns administered the Hepatitis B vaccine, containing 12.5 mcg of ethyl mercury. The investigation documented elevated post-immunization concentrations relative to pre-immunization levels in all neonates studied. One infant was found to have developed a mercury level of 23.6 mcg/L, thus meeting the CDC criteria as a case of chemical poisoning from mercury. Experts contend that there are “windows of vulnerability” which occur during neurological development and that specific types of developmental outcomes may have separate windows of vulnerability. These critical periods of development have not been established and may be relatively short in duration. The fact that thimerosal from vaccines has been documented to raise blood mercury levels over known thresholds where developmental effects have been documented to occur during the first few months of life means that particular “windows of vulnerability” may have been breached. Even minor neurological impairment can have profound societal effects when amortized across the entire population and life span. More information regarding the use of mercury in vaccines.